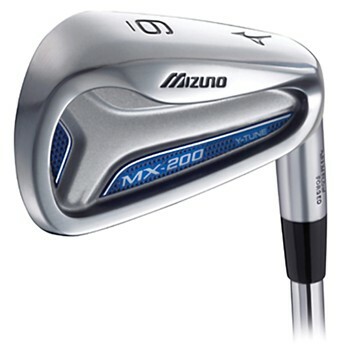 The Mizuno MX-200 wedges are Grain Flow Forged from 1025E Pure Select mild carbon steel that provides a soft, solid, consistent feel and has a durable Double Nickel chrome plated finish. They feature Y-Tune Technology, which extends the sweet spot towards the toe, delivering amazing forgiveness on off-center hits. It features a wider, deeper, and longer CNC milled pocket design that provides a low and deep center of gravity for a high, easy launch.